Mick Murray Welding a relatively small, but highly innovative, manufacturer in Darwin, Northern Territory, Australia. Working in a very competitive market, the company needed to speed up its design and manufacturing process while reducing overall costs. At the same time, Mick Murray Welding (further MMW) wanted to maintain enough flexibility to satisfy many special requirements of its customer base. After evaluating several Mechanical Computer-Aided Design software solutions the manufacturer set its choice on KOMPAS-3D for professional 3D solid modelling and 2D design. An implementation of ASCON software solutions began in 2007. 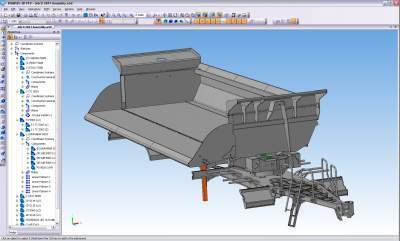 After just two years of usage and testing of the system on a number of smaller projects, mid summer 2009 MMW hit the market with a new line of their products — HD pit haul trailers, entirely designed in KOMPAS-3D. 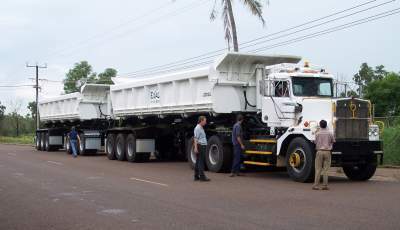 The new line of HD pit haul trailers each with a payload of 80t has the ability to operate continually in extreme conditions with minimal maintenance. The MMW manufactured components including chassis, body, couplings and tipping system are all entirely greaseless and were totally developed in KOMPAS-3D and its add-ons. The brakes and running gear are quality HD components but require the usual maintenance and lubrication. The basic task, being solved by KOMPAS-3D at the company is the modeling of products in order to considerably reduce the period of their designing and launch them into production as fast as possible. Today all the industrial enterprises are under constant pressure to design more innovative products and bring them to market faster. This goal is not possible to achieve without using of up-to-date, professional and powerful software solutions in everyday work. Mick Murray Welding relies on ASCON software like at tool, with help of which they better compete and succeed. 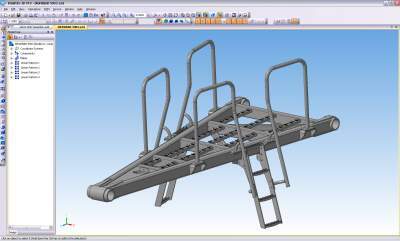 KOMPAS-3D set of solutions for 3D modelling and 2D drafting helps the company to design more effectively, conceptualize, model, and test products before the production stage, saving time and money. For further information on this equipment please contact m.murray@mmwnt.com.au. For further information on KOMPAS-3D or its free trialling, please, contact contact@ascon.net.